Chris helps further ocean conservation by working with the Shark Research Team to collect data on white sharks, organize research excursions and by documenting them on film. He works with Dr. Neil Hammerschlag from the University of Miami by sending data year round on white shark populations and behavior and has even collaborated on research papers with Dr. Hammerschlag. 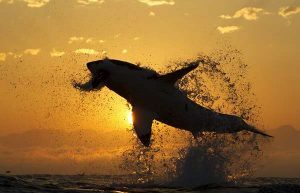 One such project was the investigation of white sharks scavenging on whale carcasses. Overall, SRC is grateful for the time and energy Chris Fallows puts into shark conservation. You can check out many of Chris’ photos and his work at his website. 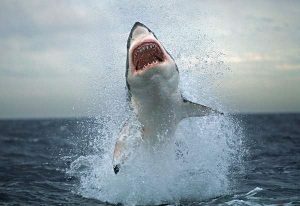 White sharks scavenging on whales from R.J. Dunlap Marine Conservation on Vimeo.